Hardly anything can shock the unprepared person as much as what he saw with his own eyes worms in his feces of a cat. Do not panic and drive away from himself does not understand anything animal – pet urgently need to treat against parasites. How to do this to go quickly and efficiently? Don't assume that if your cat does not happen on the street and excluded the possibility of its contact with stray animals, then it may not be worms. Helminth eggs can bring into the house of the owner of the animal from the street on their shoes or clothes – the cat will RUB his feet, and then in the process of licking swallow them. For acquiring certain types of tapeworms it is enough just one flea, which easily jumps to the apartment from the entrance. The cat caught a flea with teeth on its body, see through it all, the cucumber tapeworm infection has occurred. Feeding the animal raw meat or fish also leads to a cat of worms. Veterinarians, like human doctors-Parasitologists, it is recommended prophylactically to give the animal the anthelmintic wide spectrum of action. The most effective drugs can advise you at the vet and at the pet store. 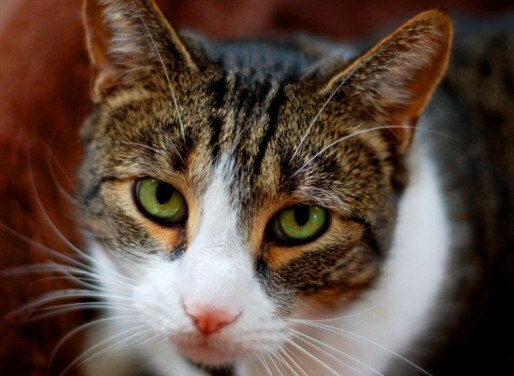 Anthelmintic drugs are given to cats twice a year – in spring and autumn. The dosage is calculated depending on the weight of the animal. Keep in mind that prevention giving deworming tablets may not occur, but your cat will be a carrier of a particular type of worms. Contrary to popular belief, people can get worms from cats on rare occasions, but you no doubt don't want to be in the few percent of people who were still infected. And the health of the animal, the presence of worms in his body affected most adversely. Worms in cats can be detected by the test of her feces to the vet. However, in most cases, the owners themselves see the worms or their fragments in the feces of the animal, which may be a sign that the infection is serious enough. This stage of infection requires immediate treatment. If you take the feces of the animal for analysis and know for sure what kinds of worms are parasitic in the intestines of your pet, you can choose the most effective in dealing with this kind of worms the drug. For example, cure tapeworms can be ineffective against roundworms and Vice versa. If you want to prevent or have your cat identified several species of helminths, use of drugs broad-spectrum. Keep in mind that cure for worms is not a vitamin, but rather toxic to the animal drugs. 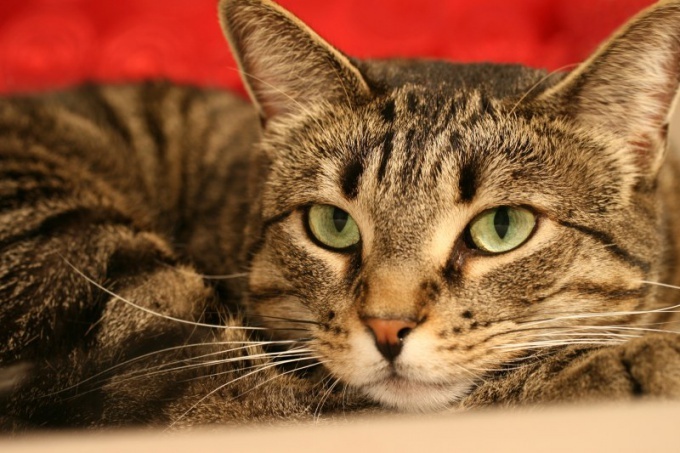 If infected with worms, the cat was ill, exhausted, debilitated or pregnant, you must discuss with the veterinary surgeon schedule the treatment so as not to aggravate the situation by giving anthelmintic. Little kitten seeks to explore the world. And in his search he is absolutely not protected from various parasites. But what about the owners in a situation when their pet was infected with worms? Find out the exact age of your kitten. Remember that while pet was not three weeks, it is impossible to apply any treatments. In the extreme case, only under the supervision of a veterinarian. But then, he probably will offer to have patience and wait for the required age. Make sure that the mother cat no longer feeding the kitten with her milk. This rule is important for those who have in one house contains and a parent and his child. If the main product that consumes your pet is still milk a cat, you'll excommunicate him from her. Or again, wait for the moment when he becomes absolutely independent. This is important for the reason that parasite eggs of some species are passed to the kitten from mother's milk. Visit a vet or pet store. As a rule, in such institutions are qualified professionals who can advise the right medicine. Print fleas. After all, fleas are the main carriers of the parasites. For this purpose use special medication in the form of droplets on the withers or powders for bathing (also sold in taapaca). In the breeding of fleas it is important to know that animals for these insects only for sustenance, and live fleas in natural carpets and woven carpets. So pay close attention to serious cleaning the apartment, shake and vacuum the carpets. Give the kitten a cure for worms. Here depending on the kind of medication there are several ways to feed them a pet. If it drops that you simply drip in to the animal mouth, then extra problems will not arise. However, the pills and powders you need to give the kitten more cunning, wrap the medication in a favorite treat of your pet, it pre-chopped. Will propecia similarly all animals in the house. Remember that parasites are contagious. Help the prevention of this disease. Because as you clean, the worms can easily move into your body. Better to protect yourself from this. 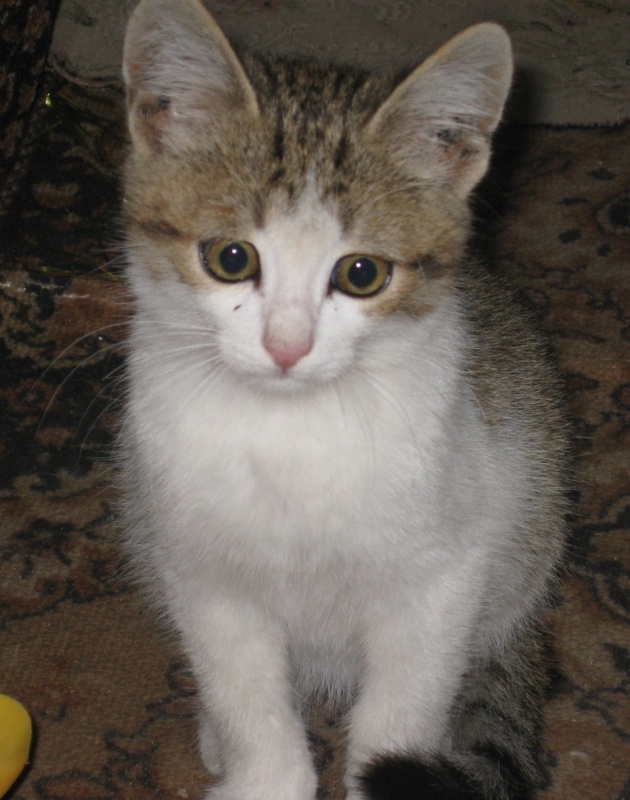 Take care of prevention of the disease in cats, prolechivaya her special medication every three months. Worms - parasites, which picks up a cat, and if in time not to begin treatment, they can cause serious harm to the animal. Below are a few recommendations about the methods of getting rid of some types of worms at home. Isolate your infected cat from other in your house. Many cat owners notice worms in the litter box. Identify the kind of worms. For example, roundworms look like thin spaghetti while tapeworms resemble rice. Tapeworms appear in the body of the animal, when he swallows a flea infected with tapeworm. If you notice fleas from your cat, then with great probability it has and worms. Examine the cat for other signs of worms. Only tapeworms and roundworms can be seen with the naked eye. Other signs of worms - weight loss, bloody diarrhea, vomiting, and inflation of the abdomen. So how are roundworms more frequency, many owners give their animals once a month special medicine from them, in the form of syrup. Use a tablet from worms that eliminate tapeworms, roundworms and hookworms. Crumble the tablet and mix powder in food. Nematodes bloodsuckers, from which the animal may die. They are hard to recognize in the home, but if the animal has such characteristics as bloody diarrhea, anemia, weakness, immediately go with him to the vet. There are also pasta for worms. They are effective against all types of worms. The paste can be injected directly into the animal's mouth or mixed with food. Use wormwood extract. It is suitable to treat both tapeworms and roundworms and hookworms. Add to food cats 2-3 times a day. 1. Remember, home treatment does not exclude recourse to the vet. From such worms, such as heart worm, we can't lose at home. The doctor will make all the necessary tests, establish the kind of worms and prescribe the appropriate drugs. 2. As a preventive measure, veterinarians often suggest daily add fresh cat food minced or squeezed garlic.This will keep parasites at a distance and even destroy some forms of worms such as roundworms and tapeworms. 3. Regularly use protection against fleas because they are carriers of worms. 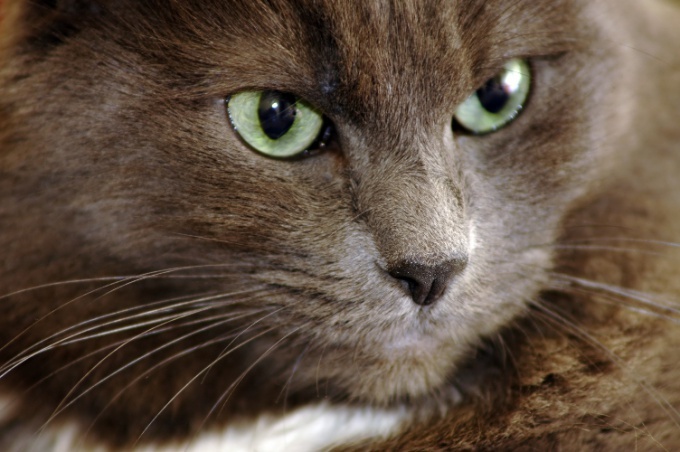 Parasites may appear in cats in the course of eating rodents, raw fish, if swallowed flies. Parasitic disease, left untreated, will transform into a chronic form and lead the animal to total exhaustion. Spend adult animal regular deworming at least twice a year. Don't forget that to chase the worms also need before any grafting, but not earlier than 10 - 14 days before. Otherwise your pet may get serious complications. Before the expulsion of the worms, make sure that the cat or indoors, no fleas, which are carriers of certain types of worms. If you have a home with more than one pet, let us deworming medication to all Pets at the same time. Now there are many medicines to eliminate helminths, among them Diropen, Febtal, Drontal, Panacur, Cystal – cat. Buy drugs to treat their animals only in specialty pet stores, avoiding stalls and markets where you sell a fake. Seek help from a competent specialist who will help to choose the right course of treatment for the animal and will tell you how to help him recover. Banishing the worms with medication, strictly follow the rules specified in the instructions and do not exceed the specified dosage. To give a cat medication, wrap it in a towel, as it is likely to become a protest against this procedure. Do not try to give medicine with a spoon, it is better to take a syringe without the needle. So you can measure out the exact dose of medication and gradually introduce it to your pet. Gently talking to the cat, put a hand over his head and place the thumb and index finger behind the fangs. Pressure in these areas and the animal will open his mouth. Enter the tip of the syringe into the corner of the mouth and inject the medication. Allow cat to close mouth. Turn his nose to the ceiling and stroke in the throat, so he swallowed the medicine. Practice shows that a single giving the drug enough. The fact that the only anthelmintic destroy adult parasites and their eggs is by being persistent, after deworming remain in the body. Therefore, when the established fact of worm infestation you need to spend double processing with an interval of 10 days. It was at this point the eggs appear immature individuals, unable even to delay her own eggs. Giving the drug, place the pet in a limited space, and leave it there for up to three days. So you will be able to collect and destroy bred parasites and prevent their spread in the surrounding areas.